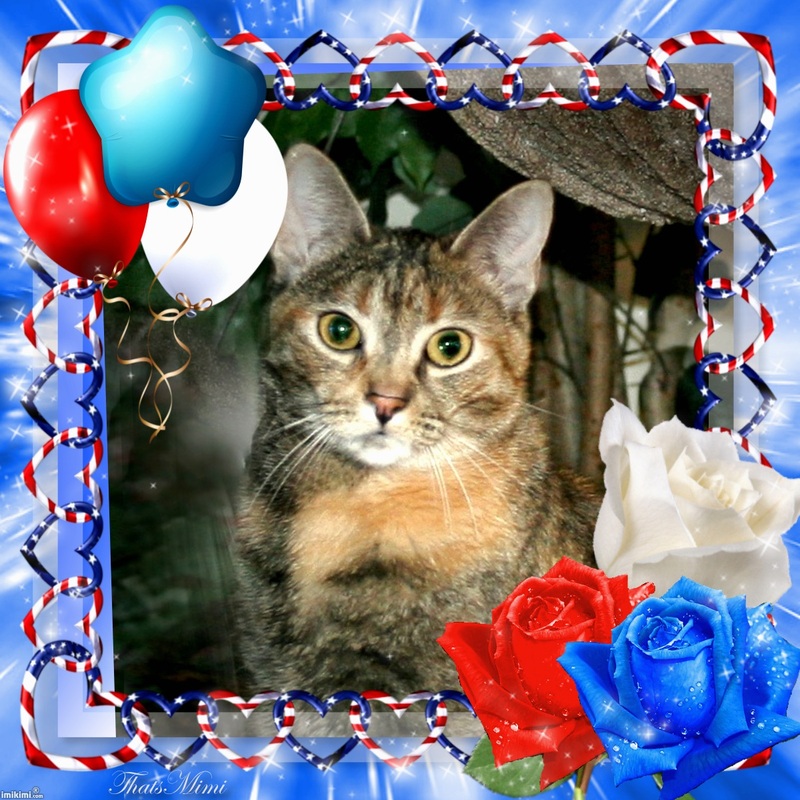 Peaches and Paprika: Join our patriotic Slideshow...coming soon! Join our patriotic Slideshow...coming soon! Join our 4th of July Slideshow (created a day or two after!) All you have to do is "Post" in today's or tomorrow's hop and your post is patriotic...well you're there! She's got something to "nip" on up there! Our human, Carol, may be possibly helping us with this show! (Maybe not, we're getting pretty good at it.) Happy holiday! Adorable pictures. 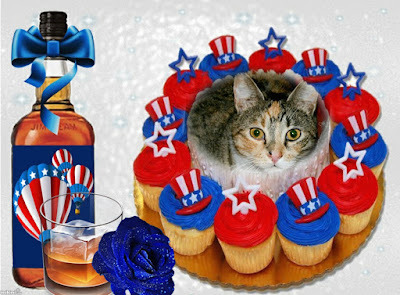 My human assistant says she would like one of those cupcakes in the first picture. Aw, we ate them all! Smacking our lips now. thank you for Visiting, Erin! You're both so patriotic today! love your patriotic art!! Can't wait for the slide show!! Yu look goodie the red white and blue! Back in the Bedroom Again! Peaches & Paprika campaign to end exile! Peaches & Paprika Exiled from bedroom! Happy Independence Day for Real! Happy Almost-4th of July from All of Us!